Hundreds of people in Bucharest have taken part in a flash mob with a difference. Instead of the usual organised dance, the entire group stood still and silent on a rainy winter’s day for up to 30 minutes. The ‘Silenced Romania’ demonstration in front of the government headquarters has become a near- weekly event. 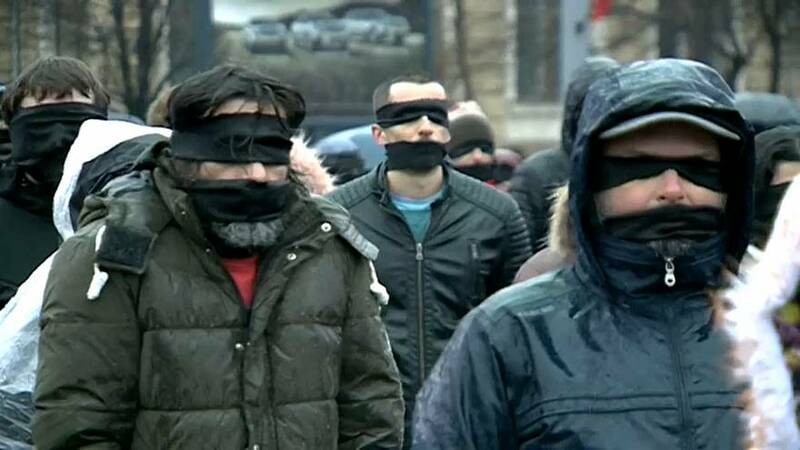 Many people wear blindfolds or gags to rally against proposed judicial changes they say put the justice system under political control. The senate is expected to approve the bills within days.